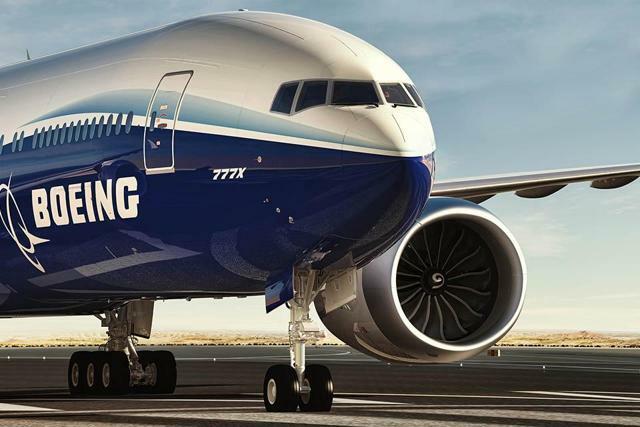 The Boeing (BA) 777X was set to be rolled out on the 13th of March, but a public rollout has been delayed in the aftermath of the problems with Boeing 737 MAX. The rollout is considered a major milestone for the program. Currently, it not known whether a public rollout will take place, but what is known is that we won’t see an aircraft being rolled out that we don’t know since we have been seeing renders of this aircraft since 2013 and saw the first pictures of the aircraft in a green primer late last year. The shape of the aircraft resembles that of the Boeing 777-300ER with the main differences being the longer fuselage, the propulsion systems as well as the use of composites and advanced aerodynamics on the wing. In this report, I want to have a look at the backlog of the Boeing 777X to show that the backlog does have a weak spot but also want to explain why I am not concerned at this point in time. Boeing launched the Boeing 777X with record-breaking orders and commitment. As it stands now, the company has 344 orders for the Boeing 777-8 and Boeing 777-9. These aircraft are valued $137B at list prices, but the market value likely is slightly higher than $60B. Recently, British Airways ordered 18 Boeing 777-9 aircraft, while it seems like Etihad Airways is looking to cancel orders for 19 aircraft. The changes wouldn’t have a big impact on the value of the backlog or the number of orders in backlog. What we did observe is that with 53 orders for the Boeing 777-8, the ultra-long-range variant of the Boeing 777X, the aircraft is not a big seller, underscoring the niche market for ultra-long-range aircraft. Potentially, orders for the -8 could fall to 45 units if Etihad Airways decides to step away from the majority of the aircraft it has on order. For now, we’re sticking to the facts, and the facts are that there is no formal cancellation from Etihad Airways, though we do expect either a partial cancellation or an indefinite deferral of some of the orders. On top of that, there has been an announcement from Boeing for 18 Boeing 777-9s plus options ordered by British Airways bringing the order book to 344 units valued roughly $62.6B. What we do see is that, so far, the Boeing 777X has not shown convincing sales patterns. The majority of the orders announced during the 2013 Dubai Airshow was finalized in 2014, but after that, orders have been announced in dribs and drabs. One reason is that the aircraft is new, and airlines are likely holding off on order announcements until performance data is available. Another factor that plays a big role is the fact that the replacement cycle for the Boeing 777-300ER, of which the Boeing 777-9 is the successor, has yet to kick in. If you combine those two factors with the fact that the Boeing 777-9 is a slightly bigger aircraft where we view the also slow-selling Airbus A350-1000 as a good alternative, it shouldn’t come as a surprise that the Boeing 777X orders are not pouring in… yet. One thing that, without doubt, might be concerning when there won’t be any improvement in 2020-2023 is the composition of the order book. Ideally, an order book is well diversified. Obviously, there is a certain degree of variation in demand by region, but what we currently do see is that the order book is dominated by carriers from the Middle East. Currently, that percentage is 68% or 66% if we assume Etihad will step away from part of its order, down from >75% a couple of years ago after Singapore Airlines (OTCPK:SINGY) and British Airways ordered 38 aircraft. This is still significant, given that carriers from the Middle East make up for ‘just’ a quarter of the orders for the Boeing 777-300ER but account for two-thirds of the Boeing 777X order book. In case of regional shocks, that could have implications for the Boeing 777X. I am not saying that the Boeing 777X can be compared to the Airbus A380, but we do have seen how fleet requirements have changed in the UAE due to a combination of factors and how that affected the prospects of dependent aircraft programs. Currently, it is too early to conclude that the Boeing 777X is a risky development. We have observed a high regional dependence as well as order revisions from that same region in combination with a relatively low order inflow since program launch with exception of 2014. I do expect order inflow to pick up once the Boeing 777-9 has proven itself in the market with the -9 becoming the most fuel efficient 400-seat aircraft. Simultaneously, I do believe that, while the Airbus A350-1000 is a slow-selling aircraft at present, it could compete for orders in the Boeing 777-300ER replacement cycle. Currently, Boeing has a nice pre-service entry backlog of 300+ units, but the bigger battle to be fought out with Airbus has yet to take place as more airlines start looking at replacements for their Boeing 777-300ERs and aircraft to support growth. For Boeing, it will be a good moment to see in what regions its biggest aircraft does appeal and possibly diversify its Boeing 777X backlog. If you like our regular coverage, please consider joining The Aerospace Forum which gives you more indepth tools to understand the industry, access to over 750+ previously published reports and ways (Live chat with the group and one-on-one conversations) to discuss the aerospace industry.